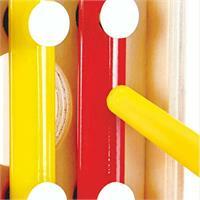 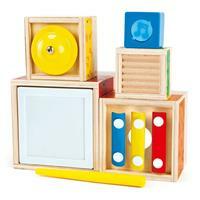 Explore sound and rhythm with your toddler through this wonderful music set. 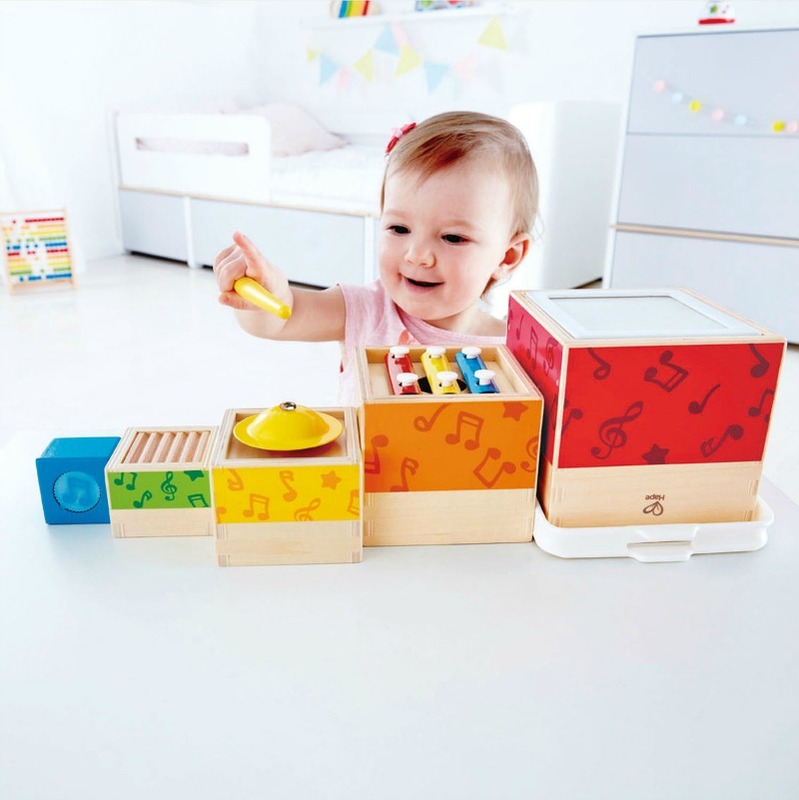 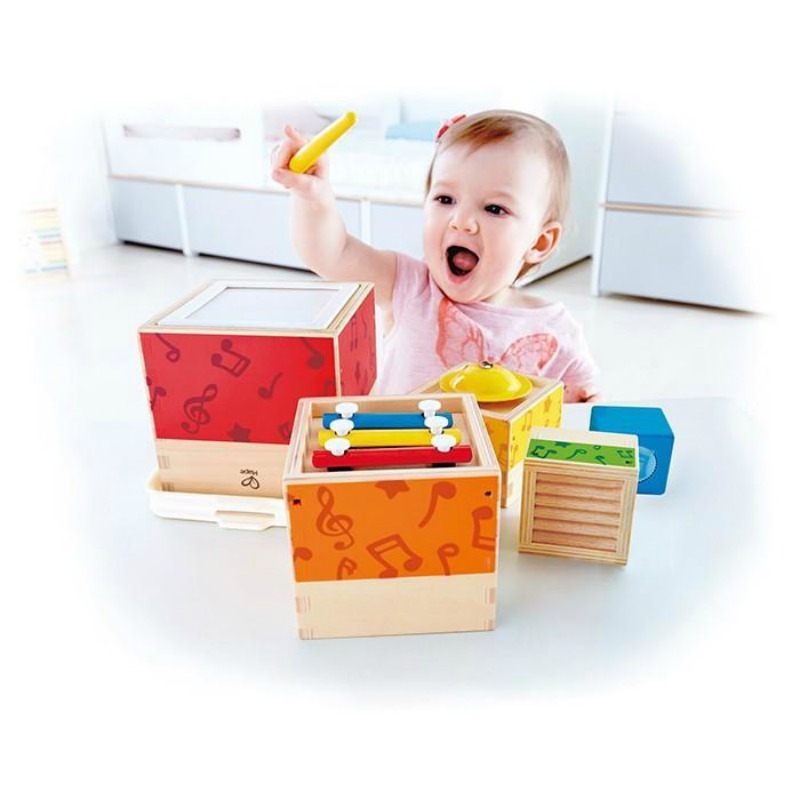 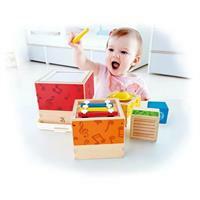 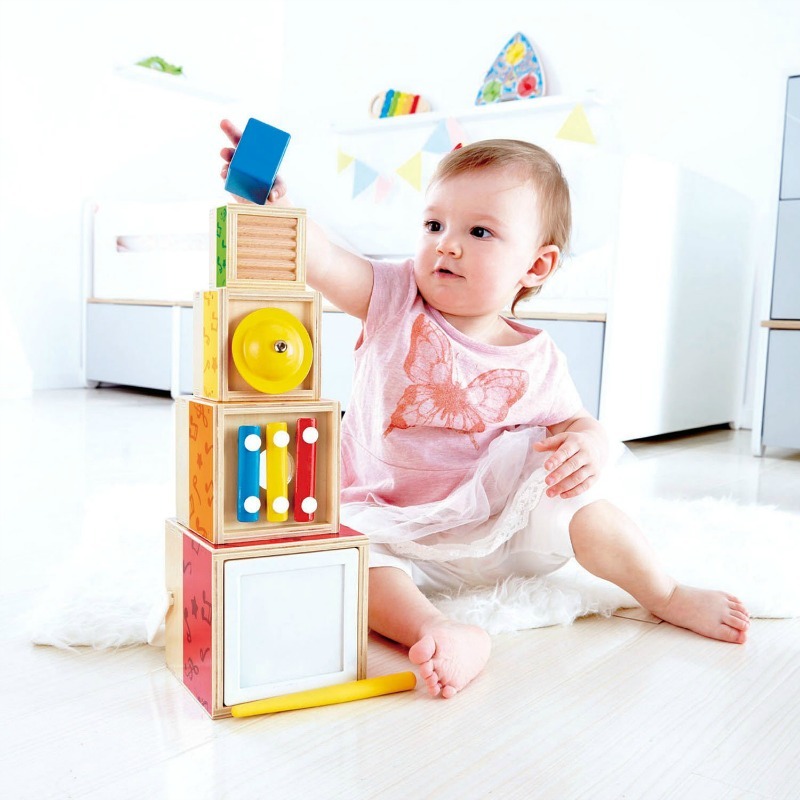 Children can stack the differently sized musical toy blocks in any way they like, exploring music , shapes and tones as they play. 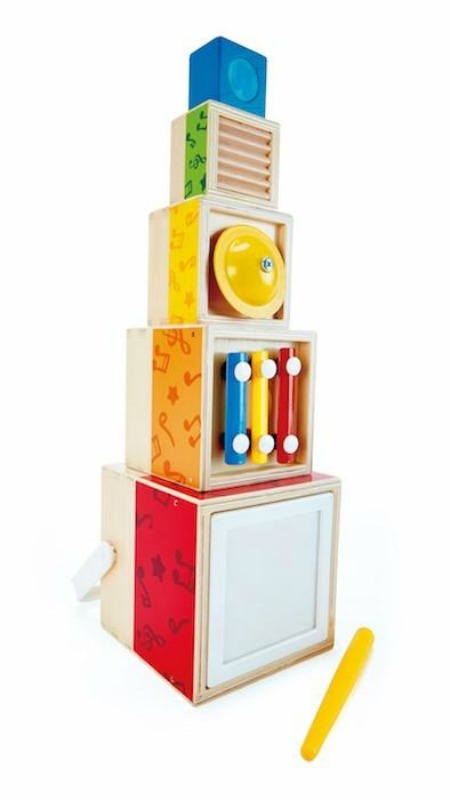 The set includes a drum, xylophone, cymbal, wooden agogo and shaker. When its time to pack away, each musical piece fits neatly inside the drum, with the drum stick clipping tidily into the carry handle, making this music set a super space-saving toy. 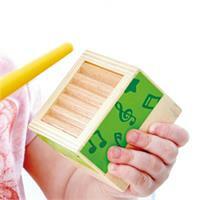 Includes 5 x Blocks and 1 x Drumstick. 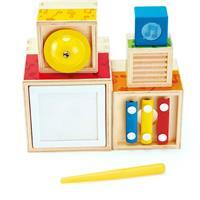 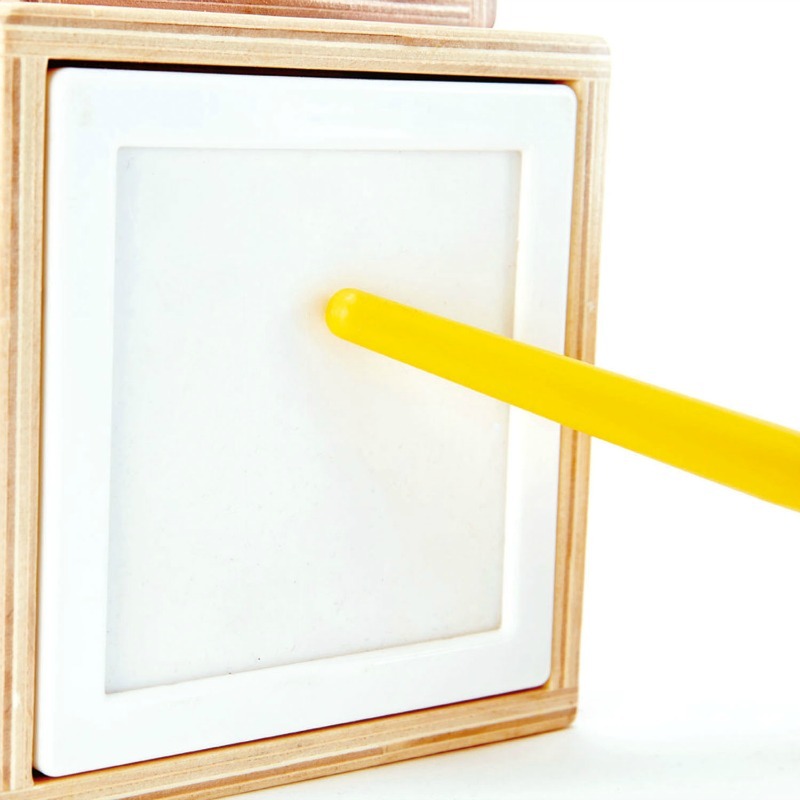 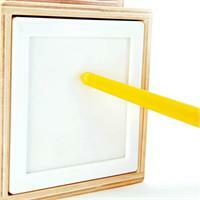 Largest block measures 12.5cm H x 12.5cm W x 12.5cm D.